fatBuzz: We're delighted to announce YOU won! 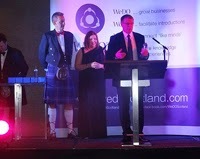 We are delighted to announce that fatBuzz won the WeDo Scotland 'High Growth Company of the Year' award at an amazing ceremony in Edinburgh's Sheraton Hotel on Friday night. Without you, all of our valued clients, we could not possibly have won this award, so in reality, YOU won the award for us and we thank each and every one of you for contribution. Traditionally, we don't enter for awards but on this occasion we were delighted to accept the nomination because we knew the WeDo Scotland Awards are independently judged by a panel of experts. We'd also like to thank the judges, Russell Dalgleish, Graham Langley, Alan Steel and Jack Ogston for recognising the hard work and progress made by the whole team at fatBuzz during 2013. Thanks also for the hard work applied by Belinda Roberts, Chief Executive at WeDo Scotland and her General Manager, Gill Eastgate, not just for the awards dinner, but for all of the work and great events they host throughout the year. We are very proud of our team at fatBuzz and thank you to each and every one of them for the hard work done throughout the year and for helping us to achieve this award. We are looking forward to 2014 and we have some great developments in the pipeline to extend the growth and the range of services we can offer you in the future. Many people don't realise the origins of fatBuzz go back to 1986 when I set up Design Matters which for 20+ years essentially operated as a lifestyle business. In 2007, we decided to completely restructure and develop a business of scale. We realised communication was changing and the way people connect with each other was being revolutionised by technology and social media. We set about creating an agency truly capable of meeting client requirements in the 21st century - a one stop shop for all of their marketing requirements. The biggest step was the total rebrand of the company to become fatBuzz; this took place on the 17th June 2010 and we haven't looked back since. 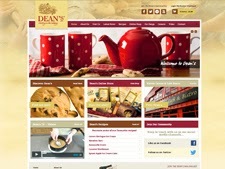 We are genuinely able to offer all of the support a client needs to promote and market their business. We continue to offer the original core services in branding, design for print and marketing. Interestingly, the design for print division of the business has been busier in 2013 than it has been for three or four years, a clear indication of our commitment to traditional forms of marketing as well as the increasingly favoured online methods. The web design and development side of the business has been incredibly busy this year with some interesting and complex web and eCommerce sites going live for a wide range of clients. One reason for our success in this area is the fact that we have a very good team of developers at fatBuzz; we don't outsource the web development, so clients can lift the phone and talk directly to the developer in the same time zone. We will also be launching our own new website very soon but as the say in Scotland, 'the cobblers bairns are aye the worst shod' - hopefully our team will find the time soon to finish the site! Video and audio play a big part in marketing today, and as with web design, we have our own in-house production for audio and video. 2013 has proven to be an exceedingly busy time for the team who have filmed all over the country from as far north as Huntly to London in the south. It probably goes without saying that social media and brand journalism are essential to businesses in the 21st century and fatBuzz has made enormous strides in creating a truly first class team of content creators and account managers who help brands tell their story on a daily basis. Our in-house journalists provide exactly what clients need today; engaging stories that raise awareness and build communities. Perhaps the biggest factor in our recent success is the way all of these services work together to form a total solution for our clients. Frequently, all of the departments work together on a single project or campaign, and this is something our clients really appreciate. In 2013 we have been fortunate enough to have several clients ask us to manage all of their marketing activities; they genuinely appreciate the benefits of working with a single agency that has a range of expertise that can be acquired individually but increasingly they are using them collectively to great effect. Success to date has been largely down to our understanding of the requirements of modern business and we will continue to develop the business based on what you need. We have some exciting development to announce in 2014 and we look forward to working with you all in the future. Congratulations to you all at fatBuzz, a very well deserved win. You should all be very proud of everything you've achieved. Thank you for your kind comments about WeDO Scotland as well, much appreciated. Thank you Belinda. As for our comments, there is no need to thanks us they are completely genuine, we appreciate and benefit from our membership of WeDo Scotland.